This activity is intended for primary care clinicians and allied health providers who manage patients with type 2 diabetes. Dr. Pavlica specializes in diseases and surgery of the retina and vitreous. He received his MD from New York University School of Medicine in 1990, and then completed an internal medicine internship in Boston at Beth Israel Hospital, Harvard Medical School. Dr. Pavlica completed his ophthalmology residency at Boston Medical Center, followed by two-years of fellowship training at Baylor College of Medicine in Houston, Texas. Dr. Pavlica has extensive training in the medical and surgical management of diabetic retinopathy, macular degeneration, retinal detachments, macular holes, macular pucker, and retinal vein occlusions, among others. He is the author of the chapter Subretinal Neovascularization in the newest edition of Master Techniques in Ophthalmic Surgery. He has participated in numerous studies and published articles as an investigator with the Diabetic Retinopathy Clinical Research Network. Dr. Pavlica recently co-authored an article with the network in Ophthalmology, the journal of the American Association of Ophthalmology reporting on factors associated with vision and edema outcomes when treating proliferative diabetic retinopathy with panretinal photocoagulation versus intravitreal injections. He has authored articles in the Archives of Ophthalmology and Investigative Ophthalmology and Visual Science as well. A study involving various types of treatment for diabetic retinopathy in which he was an investigator has been published in the New England Journal of Medicine. 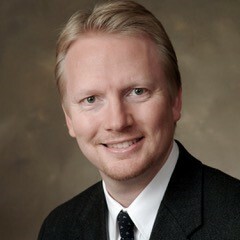 He has served as a reviewer for the journal Ophthalmology and BMC Ophthalmology. He is a member of the American Academy of Ophthalmology, the American Society of Retinal Specialists, and the American Society of Cataract and Refractive Surgeons. 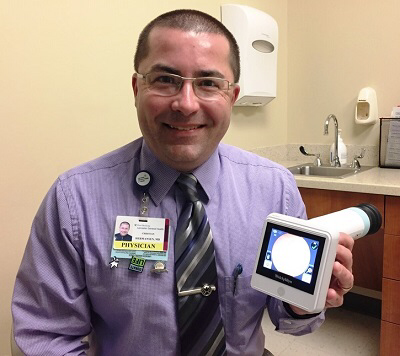 Dr. Pavlica is a past president of the Lancaster County Medical Society. 1. Use available retina screening devices to follow the newest American Diabetes Assocation (ADA)/American Academy of Ophthalmology (AAO) guidelines on regular screening of all patients with diabetes. 2. Evaluate the pathophysiology of DR and DME to highlight the importance of early screening and treatment. 3. Differentiate between agents and classes among current and emerging therapies and work collaboratively with retina specialists to develop treatment plans based on efficacy and shared decision making. 1. Use available retina screening devices to follow the newest American Diabetes Assocation (ADA)/American Academy of Ophthalmology (AAO) guidelines on regular screening of all patients with diabetes. 2. Evaluate the pathophysiology of DR and DME to highlight the importance of early screening and treatment. Successful completion of this CME activity, which includes participation in the evaluation component, enables the participant to earn up to 1.0 MOC points [and patient safety MOC credit] in the American Board of Internal Medicine's (ABIM) Maintenance of Certification (MOC) program. Participants will earn MOC points equivalent to the amount of CME credits claimed for the activity. It is the CME activity provider's responsibility to submit participant completion information to ACCME for the purpose of granting ABIM MOC credit. This Enduring Material activity, Optimizing Disease Management: A Vision for Diabetic Eye Screening, has been reviewed and is acceptable for credit by the American Academy of Family Physicians. Term of approval begins 08/23/2018. Term of approval is for one year from this date. Physicians should claim only the credit commensurate with the extent of their participation in the activity. The following DKB planners and managers Stan Pogroszewski, and Rachel Deerr hereby state that they or their spouse/life partner do not have any financial relationships or relationships to products or devices with any commercial interest related to the content of this activity of any amount during the past 12 months.